Charles Tonbrah Okah, detained leader of the Movement for the Emancipation of Niger Delta (MEND) reported to have escaped from custody during a jailbreak at the Kuje Maximum Security Prison on Friday, has denied that he escaped as being reported . 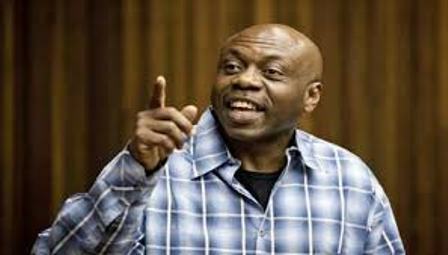 Okah's denial was contained in a statement issued by his lawyers, First Law Solicitors, on Sunday. Signed by Timipa Okponipere, the statement said Okah had no involvement in the jailbreak, which occurred at about 7.00pm on Friday. According to Okponipere, the MEND leader was quarantined in an isolated room in the Kuje Prison Clinic for a suspected Lassa Fever infection when news of the incident broke. The lawyer attributed Okah's alleged involvement in the jailbreak to his popularity among the inmates of the prison. "On account of his popularity among the inmates, word quickly spread that our client was among the two inmates who escaped by scaling the 25- feet-high Kuje Prison fence. "It took almost 24 hours for the inmates and prison authorities to realize that our client had not escaped from the Prison. "Our client has further instructed us to notify all Nigerians and the international community that, God willing, and without prejudice to his ongoing trial, he shall triumphantly walk out of the Kuje Prison gates as a free and vindicated man," the statement said. Android Tips Blogger tips Canada Immigrant Canada Lottery Canada Visa Data Plans Tips. Free Call Tips How to Internet Tips. Keyboard Shortcuts. Mobile Phone tips PC tips Smartphone tips Unlocking tips. US Green Card Lottery US Visa Whatsapp Tips. Copyright © 2018, Entertainment | Tech | News.